OCCUPIED JERUSALEM, (PIC)– Palestinian prisoner Ra’ed Mohammed Abu Hammad was found dead in his cell in the Israeli Eichel prison on Friday, the Ahrar center for prisoners’ studies and human rights announced. Director of the center Fuad Al-Khafsh said in a press release that Hammad, 31, is the 198th prisoner to die in Israeli jails. He added that Hammad, who was serving a ten-year sentence, suffered several diseases but was still held in isolation by the Israeli prisons authority (IPA) that did not heed calls for his release because of his health condition and kept him in solitary confinement. Khafsh urged the international institutions to swiftly intervene to save the isolated and sick prisoners in Israeli jails, demanding an autopsy on the martyr’s body to determine the exact cause of his death. Hamas movement in the West Bank issued a statement on Saturday blaming the Israeli occupation authority (IOA) and the IPA for the death of Hammad in Eichel prison in Beer Sheba. It said that the death of Hammad on the day of the Palestinian prisoner makes it imperative on all Palestinian factions and Arab leaders to prioritize the issue of those prisoners. Detained ex-minister Wasfi Qabaha charged that the death of Hammad was the natural result of deliberate medical neglect on the part of the IPA. He said in a press statement on Saturday from his prison cell that human rights groups must pressure the IPA into opening its jail before inspection, especially to examine the sick detainees who suffer various diseases including cancer. Dr. Salah Al-Bardawil, a Hamas leader and MP, said that Hammad, from occupied Jerusalem, died due to constant physical and psychological torture. He urged the world community to put on trial all those responsible for such crimes against the prisoners. Meanwhile, Khalil Al-Hayya, a political bureau member of Hamas, told a rally organized by his movement in Gaza on Friday in solidarity with prisoners that Palestinian resistance was fully entitled to trek all means to liberate Palestinian prisoners from Israeli jails. He expressed absolute dismay at the world’s silence toward the IOA crimes against those prisoners. 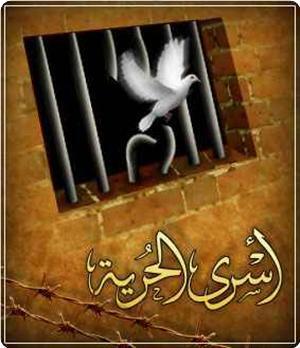 GAZA, (PIC)– The Palestinian center for the defense of prisoners has invited Friday the Palestinian people and the Arab and Muslim Ummah (Nation) to enhance their support for the Palestinian prisoners in Israeli jails, stressing that all captives must be released unconditionally. In a statement it issued to commemorate the Palestinian prisoner day, the center pointed out that nearly 7,500 Palestinian captives were held in Israeli jails, including 340 minors, 37 females, 15 parliament members and 1,600 sick captives among others, adding that the captives live in very bad imprisonment condition and suffer from Israeli jailors’ ill-treatment. The center also pointed out that 196 Palestinian captives had passed away while in the jail due to the bad treatment and deliberate medical neglect at the hands of the Israeli occupation authority (IOA). Further, the center said that at least 320 captives distributed on the 25 Israeli jails across occupied Palestine were classified as oldest-serving captives as they had been in jail for more than two decades now. However, the center called on the prisoners to strengthen national unity among them in order to foil all Israeli conspiracies against them, urging, at the same time, all Palestinian, regional, and international human rights institutions to exert the maximum effort they could to pressure the IOA to stop the series of humiliation and maltreatment of the captives. For its part, the Palestinian Legislative Council (PLC) urged the Arab and Muslim parliaments to launch strong and comprehensive parliamentary campaign with legal and media dimensions to expose the racist Israeli behavior against the Palestinian captives, and to force it to abide by international rules and covenants regarding prisoners. The PLC also called on the Arab and Muslim countries to keep the momentum of the importance of the prisoners issue at international forums and meetings, stressing that the Palestinian issue is a just issue and deserves full attention from the international community. Moreover, the PLC warned that the IOA has gone beyond the limits in humiliating and maltreating the Palestinian captives due to the unexplained international silence towards such rejected behavior, underlining that the Israelis have no humanitarian or ethical deterrent to halt them from exercising abhorred practices against the innocent detainees. In the same context, the supreme national committee for supporting the prisoners called on the Arab League to carry out the recommendations endorsed during the Arab summit in Damascus in 2008 of reviving the Palestinian prisoner day and of considering it as an Arab day to support the Palestinian captives in Israeli jails. Baha’a Al-Madhoun, the coordinator of the committee, asserted in a statement that supporting the Palestinian captives in Israel wasn’t a Palestinian duty only but rather a duty of the Arab and Muslim Ummah because the captives sacrificed their freedom to protect the Arab and Muslim dignity. “The Arabs have endorsed great and fantastic recommendations to support the Palestinian captives, but, unfortunately, all those recommendations were kept in the drawers and never implemented, so what are they waiting for? Are they waiting for the captives to die then to act? !”, said Madhoun.